It's very important for the product, specialize to tje promotion gifts. Because of its leather surface, we always adopt silk screen or off-set printing. Silk screen only can be used to the simple logo. Suuch as those1C or 2C color logo. Quantity affects the price:Because of the extra production cost when change the material or machine staring charges are fixed. So the big quantity helps to cut down the production cost. Shape: Any shape is no pronblem for us but no any exchange of the die cutter. 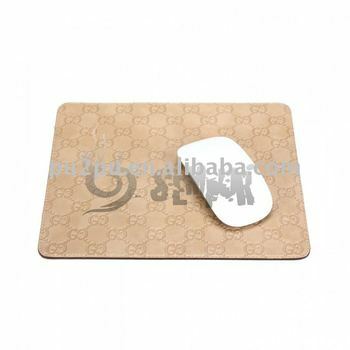 1.E-tone is the most experienced manufactuer of this kind of mousepad,our orientation was fixed on above average level but with the most resonable price. 2.About material: We adopted the pure PU gel for bottom, Lycra cloth for surface and Soft Gel inside, we always keep our minds on each part of the product.